Flickr really went to town with its automatically generated tags for my photo today. 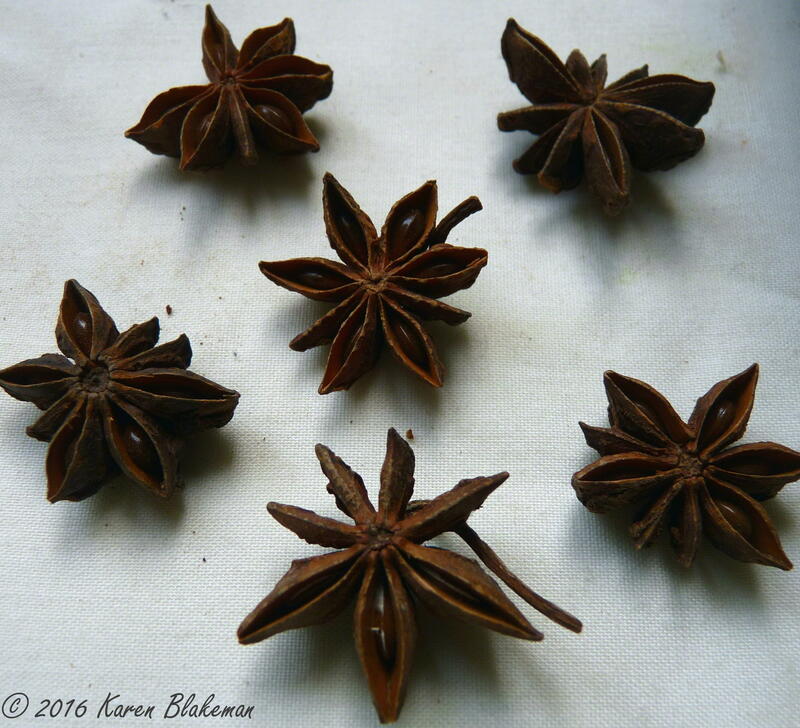 The photo was of star anise, which I took for the Challenge Friday Group; this week’s challenge is stars. A straightforward, simple photo of the spice, I thought but Flickr read a lot more into it. The ones at the top with the grey background are the tags that I assigned to the photo. The rest are Flickr’s. I deleted several of them before I thought of taking a screenshot for posterity but what is left gives you a flavour of the range of concepts that Flickr feels are relevant. Some of them I agree with (pattern, star shape, symmetry). Others I shall delete as they are of no help to anyone searching on them (foliage, leaf, landscape, tree, forest, blossom, pastel). I do, though, rather like “minimalism” even though the structure and complexity of flavour and aroma of star anise is far from minimalist. It stays. I’ve finally finished “updating” my slides and notes for the first of this year’s workshops on business information, which takes place next week. It was not so much an update, more a rewrite. With all the changes at Google, UK government website transfers and disappearances, the “right to be forgotten” and the many website design changes by business resources to make them mobile friendly I was virtually starting from scratch. Next week’s workshop is being organised by TFPL in central London on Tuesday 8th March. TFPL have made the event the “Course of the Week” and reduced the price to £249, but you have to book by midnight on Friday 4th March to get the reduced price. As usual, there will be practical sessions for people to try out resources and search techniques for themselves. If you are interested go to the TFPL website or contact their learning time on 020 7378 5477.